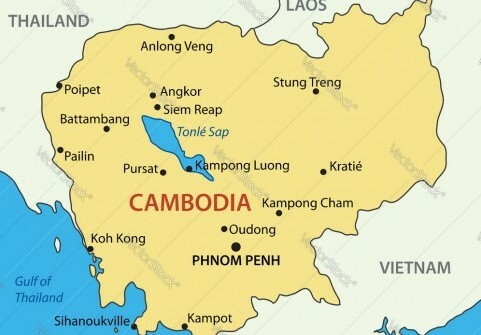 Cambodia has reported its first outbreak of African swine fever (ASF) in backyard pigs near the Vietnam border. The country’s first case was confirmed on Tuesday, with 400 pigs out of a population of around 500 killed by ASF in Soamkanign in the Rattanakiri province.The remaining 100 pigs were killed and disposed of, according to the Cambodian agriculture ministry. The outbreak began on March 22, the OIE disease report states. The development comes as little surprise given the rate at which the virus has been spreading in neighbouring since the first case was reported there in February. The disease has spread across China since August 2018. While there just have over 100 cases confirmed since then, it has emerged recently that the true scale of the outbreak has been under-reported, with the Chinese pig herd currently down 19% year-on-year and productivity expected to take a big hit this year. The virus has also been discovered in Mongolia and there are fears other countries in the region, including Thailand and Taiwan, are vulnerable. There is concern, in particular, over the threat posed by movements of infected meat products. Contaminated meat has already been found at ports and airports in several countries, including Australia, the US, Japan, Taiwan and South Korea. The Japanese Government revealed on Tuesday that the virus had been detected ‘in a contagious state’ on Japanese soil for the first time. The virus was discovered in sausages brought into the country from China in January, according to the Japan Times. The sausages were brought into Japan, apparently as souvenirs, by two passengers arriving separately at Chubu airport near Nagoya on planes from Shanghai and Qingdao on January 12. The Ministry of Agriculture, Forestry and Fisheries said the discovery of an infectious form of the virus has prompted a decision to strengthen measures against illegal imports of livestock products. So far no ASF infections have been reported in pigs in Japan.